A new full-scope simulator at unit 1 of Brazil's Angra nuclear power plant has passed final acceptance tests and declared "ready for training." It is expected to be commissioned in June 2015. Spanish engineering company Tecnatom was awarded a contract by Brazilian nuclear utility Eletronuclear in January 2012 for the development, manufacturing installation, validation and commissioning of a full-scope replica simulator for Angra 1. The simulator completed factory acceptance tests in May 2014 at Tecnatom's facility in San Sebastian de los Reyes, near Madrid, Spain. It was then disassembled and transported to Eletronuclear's training centre in Mambucaba, Brazil. Tecnatom has now announced that the Angra 1 simulator has now passed final acceptance tests, which involved the execution of a number of operating scenarios, along with several hardware and software trials. The Spanish company said that on 14 November Eletronuclear certified that the simulator met with requirements of the technical specification and declared the simulator to be in a status of "ready for training." The simulator features technology wholly developed by Tecnatom, including the simulation models, the graphic user interface and the hardware interface, as well as the configuration management system. According to Tecnatom, Eletronuclear expects to officially start using the new simulator in June 2015. 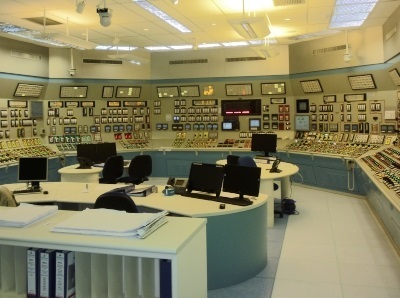 Up until now, new Brazilian nuclear power plant operators have undergone training at the simulator at the Almaraz plant in Spain. Simulators are a vital piece of equipment for training plant operators, both at the start of their careers and for their continuing training. Angra 1, a 626 MWe pressurised water reactor, started up in 1982. It is the oldest of Brazil's two operating nuclear reactors.